If you were asked to name one of the highest causes of MOT failure, what answer would you give? Many vehicles fail on tyres, wipers and even illegible or damaged number plates which can be quick and relatively inexpensive repairs for customers. However, an increasing number of MOT failures are down to extensive wear or damage in the steering and suspension system which requires a costlier and more time-consuming solution. It’s no coincidence that Section 2 of the MOT test is devoted to steering and suspension. These parts are often taken for granted when a vehicle is in operation, but potholes in the road can put suspension systems through a great deal of strain, potentially affecting alignment, which if left unchecked can lead to accelerated wear to components within the system. As these safety critical systems comprise many components and assemblies, repairers should take every opportunity to inspect them for customers, using only quality replacement parts from a trusted provider. With more arms, links and bushes than ever before, plus increasing volumes of air suspension work reaching the aftermarket, the choice for replacement parts has never been larger. Euro Car Parts stocks all the steering and suspension components needed to cover an expanding range of cars with quick delivery to workshops. The latest addition to our range is MOOG;a brand synonymous with quality steering and suspension products and recognised globally for its high-quality chassis parts. 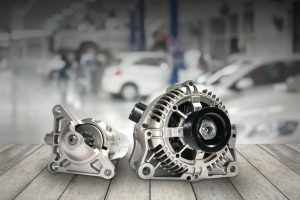 More than 2,500 product codes will be available through Euro Car Parts by March 2019, with further references to be added throughout the year. The introduction of MOOG® boosts our steering and suspension offering considerably, adding to a solid range which includes high quality chassis parts from Starline and ZF (Lemforder and TRW), among other leading manufacturers. Although replacement parts are widely available, theimportance of also sourcing and using the correct tools when replacing steering and suspension components cannot be overstated. Air guns may seem like a quick and convenient solution to tightening nuts and bolts, but they should only be used for loosening, as they can overtighten. It is also important that repairers only fully tighten suspension arm fitting bolts once the wheel hub has been raised to its natural operating position. This can be done by measuring the distance from the wheel centre to the wheel arch at ground level. Once the arms are in place and the bolts loosely tightened, the wheel hub can be raised using a jack to the correct position prior to fully tightening using a torque wrench. Vehicle manufacturers recommend that bolts and nuts are replaced every time an axle component is replaced, and these are included with the component or available separately. With vehicles becoming more sophisticated, repairers should also bear in mind ADAS when working on anything connected to the steering and suspension system, particularly when working on modern vehicles. European legislation introduced in 2004, requires new vehicles to have at least two ADAS systems installed. Common tasks, such as adjusting a vehicle’s wheel alignment, can affect the calibration for one or multiple ADAS systems. This means that an ADAS calibration would need to take place after the wheel alignment to realign the ADAS systems. It’s important to make sure this is done as the repairer has a duty of care to ensure the service is carried out in full as a vehicle returned to an owner uncalibrated leaves the workshop at risk of liability should the car be involved in an accident. 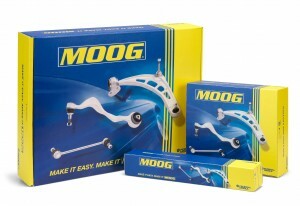 MOOG’s steering and suspension components are produced and tested to ISO standards. The Moog range also features Hybrid Core Technology which provides outstanding durability, even under extreme conditions. With this innovation, MOOG®can offer a distinguished product with up to fivefold increased durability. The system, which incorporates a carbon fibre bearing and induction heat treated ball stud, is applied to ball joints, track control arms, wishbones, axial rods and tie rod ends. Corteco has successfully moved from Lutterworth to Rugby. The move has completed the largest expansion for the brand in the UK and emphasises the rate of annual growth for the company. The new location places Corteco alongside its parent company Freudenberg Sealing Technologies (FST) allowing Corteco to reap knowledge and expertise from the Original Equipment Manufacturer and to pass it onto their customers. This is still proving to be a fruitful year for Corteco, with the expansion of the team, the new state of art location and additional stock enabling Corteco to serve customers instantly. 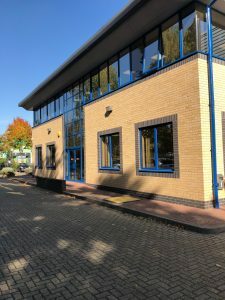 The move has brought access to a bigger warehouse, a more central location, more office space, improved facilities, a strong source of OE knowledge and a brand new ordering system. All of this helps to benefit the team and the customers greatly proving a seamless service from start to finish. Corteco asks all customers to ensure the new address is updated to reflect the completed transition. 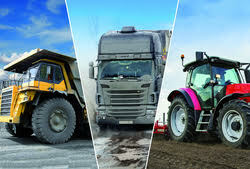 Lorries are expected to operate around the clock while exposed to moisture and general physical debris and still produce as little down time as possible. Operating conditions are harsh, but reliability remains vital for the driver and the customer. 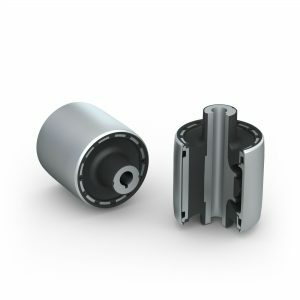 Cassette seals for axles provide the perfect solution and form part of a new generation of ‘closed sealing’ solutions that protects against contamination in working conditions and tough operating environments. Corteco has a comprehensive seal range for axle applications that now includes almost every sealing option, from traditional gaskets and O-rings to the latest low-friction Cassettes for CV and LCV. In addition to its product design and innovative capabilities, Freudenberg Sealing Technologies has access to resources that include thousands of different types of raw materials. Each individual component may comprise of combinations of many different rubber or plastic compounds that are used in association with various coatings and adhesives. 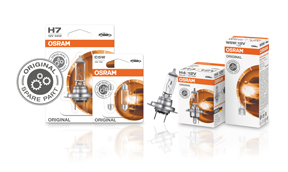 OE manufacturers rely on FST in the selection of raw materials, product design, as well as the development and production processes of the seals that are fitted to their vehicles. FST is a name that OE manufacturers know they can trust and that’s the reason why they manufacture billions of seals each year. By working closely with FST, Corteco has developed a Cassette Seals product range to match the needs of the aftermarket – and thanks to extensive logistical experience, the correct sealing solution for almost every application is never very far away. Fleet operators rely on the parts that are installed into their vehicles to withstand excessive pressure from everyday operating life. 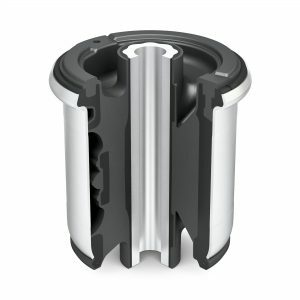 Fitting OE Cassette Seals ensures peace of mind and reduce costs and downtime making sure everything runs smoother. 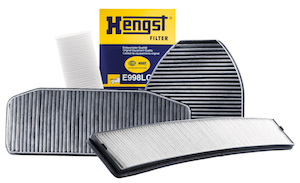 Automotive applications are characterized by contamination, intensive utilization and high speed for long distances and periods. 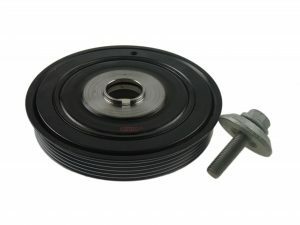 The utilisation of Cassette Seals covers many fields including; pick-up, commercial vehicles and on-road trucks. General Industrial applications are characterised by the presence of severe contamination, intensive utilisation, continuous start and stops with short distances and high repair costs. The utilisation of Cassette Seals cover many fields including; off-road trucks, agriculture, earth moving machines, implements and many more. 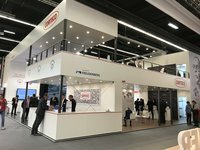 The FST subsidiary Corteco showcased its product portfolio – now expanded to include steering and suspension components – from September 11 to 15 at the Automechanika trade fair in Frankfurt. Corteco has been offering ball joints, control arms, tie rods and hydraulic and conventional bushings and stabilizer links for the replacement parts market since the start of the year. “We are seeing an ongoing trend toward cars that offer greater comfort thanks to an improved ride. We wanted to address this in the replacement parts business with our expanded product portfolio,” said Jason Meier, Senior Vice President at Corteco. The new products generated considerable interest among the trade fair visitors. Detailed information on Corteco’s complete range including belt pulleys, engine mounts and interior air filters was in demand as well. 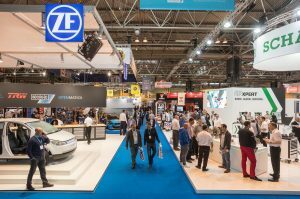 Visitors were able to personally feel the impact of high-performance steering and suspension products on a vehicle’s ride: In a vehicle simulator, they experienced how well Corteco damping parts perform compared to those of the competition – a highlight for many visitors to the stand.